Company Registration Office, VAT(Value Added Tax) Company, Tourism Board(NTB), Cottage and Small Scale Industry, Nepal Rastra Bank, Nepal Mountaineering Association(NMA), Trekking Agencies Association of Nepal(TAAN), and Trademark Registration. We are a well- organized company qualified to provide trekking services, tours, and all adventure-related activities. Our memberships in the above organizations mean that we are a reliable and officially-sanctioned company. Arrangements for all services are handled by us and meet the highest standards in regards to Nepal-sanctioned mandates. Our legal documents can be found in the “legal documents section” of our website. Himkala only employs company -trained, mature, and very experienced team members. We insure that all employees are polite, courteous, and congenial as well as having a very high level of competence. Our experience has been that many of our clients and guides often develop strong bonds of friendships and trust and that these bonds can last a lifetime!. Our guides are also often able to speak the dialects and languages of the local tribal groups, and, through this translation, clients can get to better know and understand the 20 different ethnic groups who inhabit our beautiful country of Nepal! Himkala Adventure Pvt.Ltd. has connections with the local networks in every category of our official qualification. We are 100% dedicated to our social duty and responsibility to provide eco-friendly services. We emphasize the wisest and most rational use of resources, and we constantly strive to lessen the deterioration of the natural environment in Nepal. In the past, trekkers, tourists, and Nepalese, too, thought nothing of littering the beauty of our landscapes with paper, plastic, tin cans and trash that eventually cluttered the paths and campsites and added to the destruction of Nepal’s natural environment. The beauty and health of our forests were being destroyed by a culture that had no concern or awareness as to what their plastic wrappers, metal containers, Styrofoam cups and personal litter was doing to Nepal’s beautiful environment. Therefore, our company made it its purpose that all human activities with which we were involved should be in accordance with the healthy need of Nepal’s delicately balanced environment. We believe that resources should be used conservatively and make sure that our activities and the conservation of our environment should work together side-by-side. Cultural diversity is as necessary for humankind as biodiversity is for nature. Travel in Nepal is certainly safer than most other countries, and this likely includes your homeland! Even though there are occasional issues that might arise, we at Himkala are very conscious about your safety and this concern cannot be compromised .Our safety record is unsurpassed, and we ensure that every detail involving your safety is taken. Our professional guides’ jobs are to always with you to insure your safety, good health, acclimatization to your new environment, first aid if needed and high altitude sickness preparedness. We always follow your pace. We are also considerably flexible in the choice of route, diversions and scheduling you prefer. We focus on enriching your overall stay rather than merely providing a “run-of-the-mill” tour. Your preferences and needs are always our number one concern! Nepal provides many opportunities and experiences in implementing services to people on the grass roots level in many ways. Such opportunities include, but are not limited to, educational and community aid programs, orphanages, the health sector, schools and language teaching. This volunteering focused on local initiatives in order to directly influences the most people in need. Your smallest contribution has the ability to forever change and uplift the life standard of anyone you might help. Himkala Adventure Pvt.Ltd. can assist you in arranging volunteering services for you in many worthwhile projects in Nepal. Stephen Bezruchka, a Canadian doctor who worked in high Himalayan valley, said, “To work in Nepal is, I feel, a rare privilege. In my own endeavors, I have always felt that I gained more from working in Nepal, providing health care, than the people gained from me.” Recently, we at Himkala, have been organizing Charity Treks and Tours from which 5% of the profit goes to underprivileged children living at Namjung VDC, at Gorkha District for their educational support. We trust our guides and porters and the work they do. We show our appreciation for their efforts by paying above average remuneration for their efforts and treat them as family members .We believe that if they are happy, our company will run more efficiently and our goals will be accomplished. We stress mutual understanding and harmony between the management and the staff. So, our guides and porters are always sincerely for your safety and for the positive outcome of your experience. We at Himkala encourage positive cultural exchange. 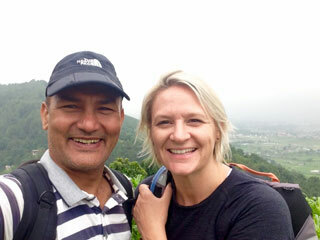 We also are concerned as to how to preserve the character of trekking in Nepal. 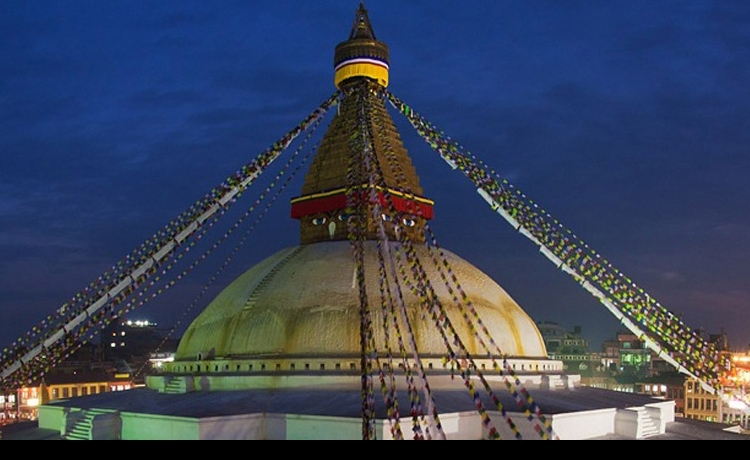 The fullest enjoyment of Nepal in all its myriad aspects comes to those who attempt to transcend the cultural and linguistic differences between themselves and their Nepali host. We encourage our clients to have the supreme experience in a social-cultural travel experience. This is made possible by our clients being cognizant of local values and norms which our guides help them to better understand. We make it our priority to purchase locally made products so that the people of the area can economically benefit from our endeavors and business. By doing this, we help others in increasing the living standards to the local Nepali people. Himkala Adventure is always ready to contribute to the development of Nepal as a secure and attractive travel destination by establishing a respectable travel trade community and formulating parameters that fit within the local context. We focus on enriching the tourists’ overall stay rather than merely concentrating on promotion to broaden our customer base. Himkala Adventure is greatly concerned with enhancing Nepal’s tourism image as a premier travel destination in the world by maintaining, improving and diversifying the quality of tourism products and services in our country and promoting them in international markets. We are always ready to tailor travel arrangements to meet individual requirements for any type of trip in Nepal, Tibet and/or Bhutan. We are here to address your needs in pursuit of your convenience, happiness and excellence. We undertake the burden of your entire travel needs and provide quotes individually on the basis of preferred itinerary, hotel requirements, size of the group, time constraints and trip types, from easy, modest, difficult or strenuous and help you to decide which would serve you the best. While we have many different packages available, we are happy to assist you in designing a trip to help you “make your dream come true”. You may select from our many locations, duration of the trip, activities and preferences, and we’ll develop your trip so that your dream DOES come true! !